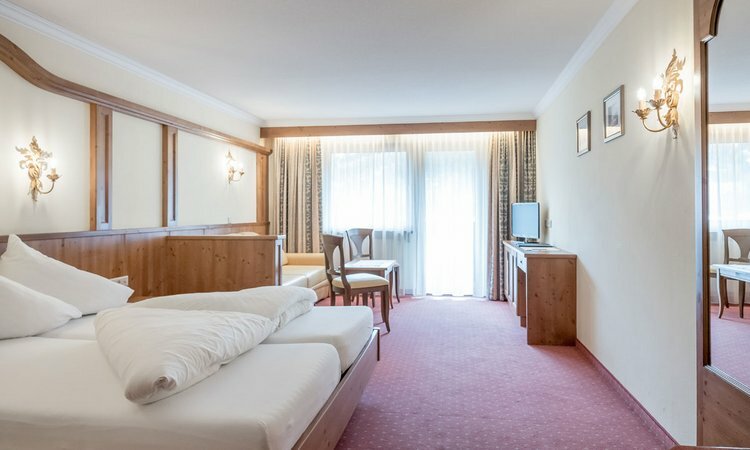 Hello & welcome to our hotel in Sölden. 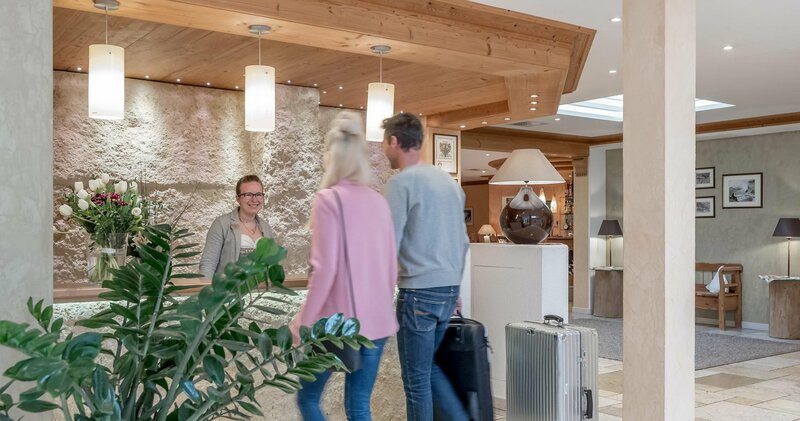 The Alphof is your 4-star holiday dream at the heart of the pleasant and adventurous Ötztal Alps Holiday Region in Tirol. 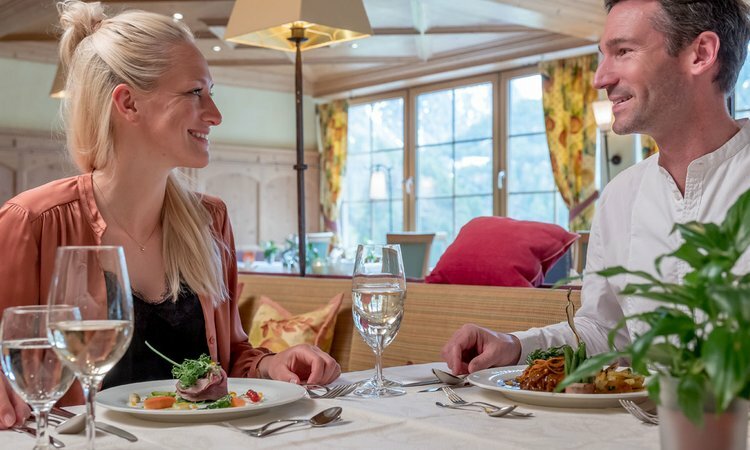 Outstanding holiday experiences in close touch with the mountains. 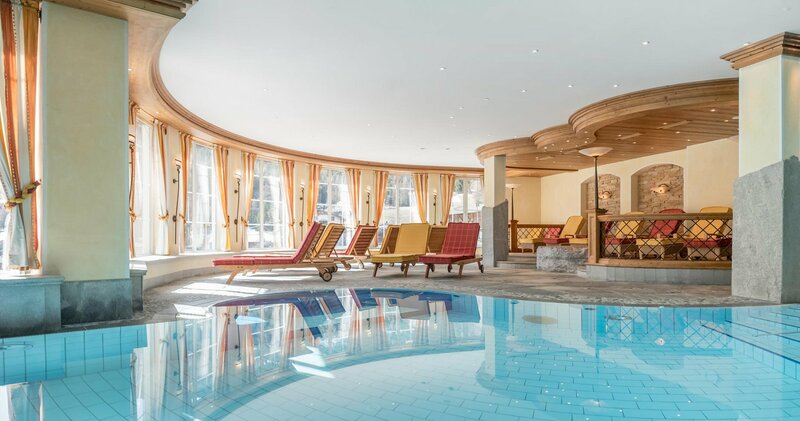 Right at the heart of the extraordinary Ötztal Alps adventure world. 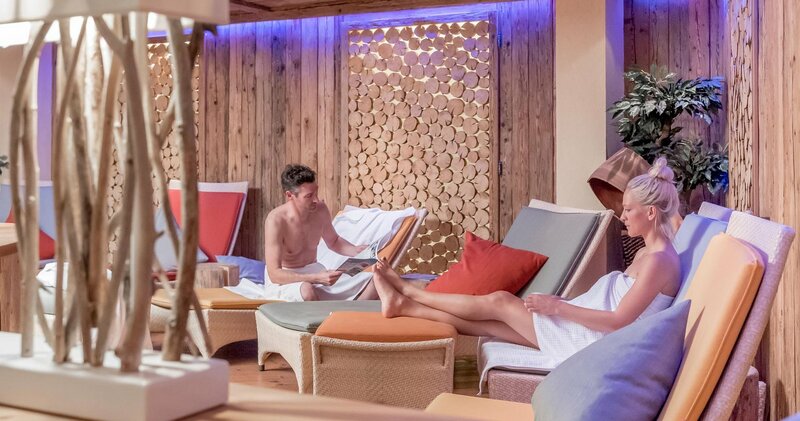 That's what we promise for your vacation time. 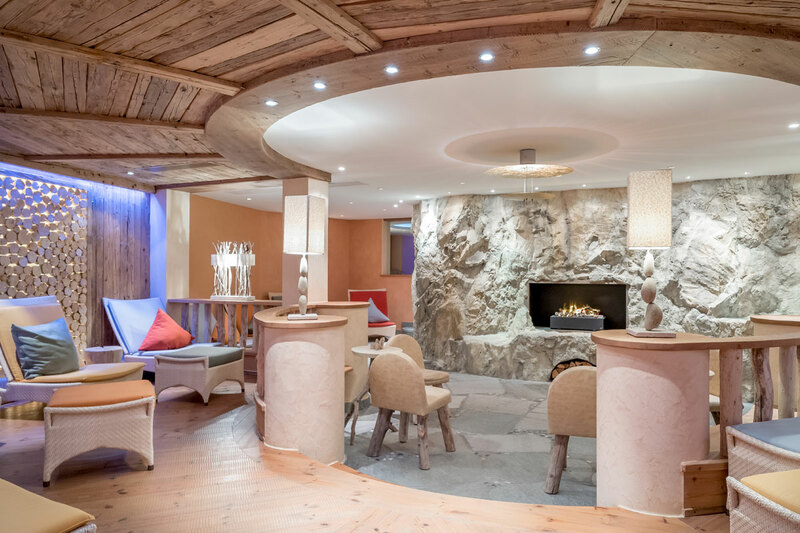 Because here with us at Hotel Alphof in Sölden there is only one thing that counts: we want to inspire you. 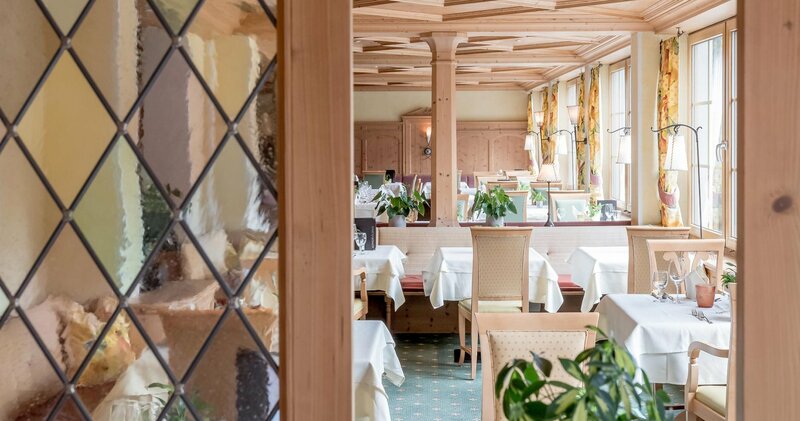 Fall in love with Ötztal's unrivaled charm. 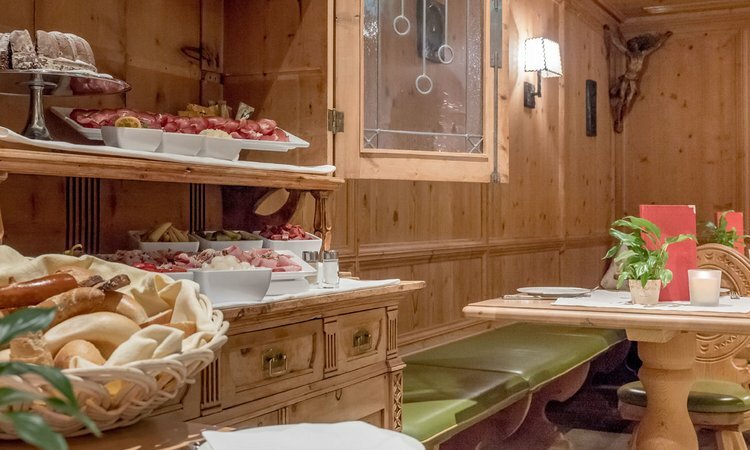 Get to know true Tirolean hospitality and coziness in authentic surroundings. 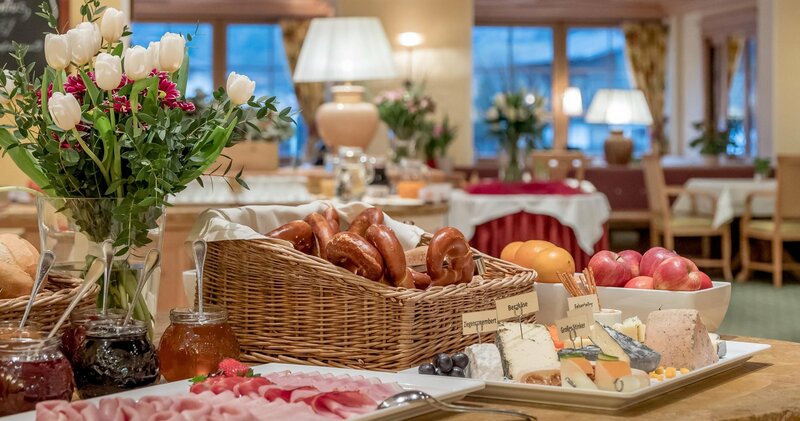 Homemade culinary treats and fairytale wellness dreams against the natural backdrop of our unspoilt mountain landscape. 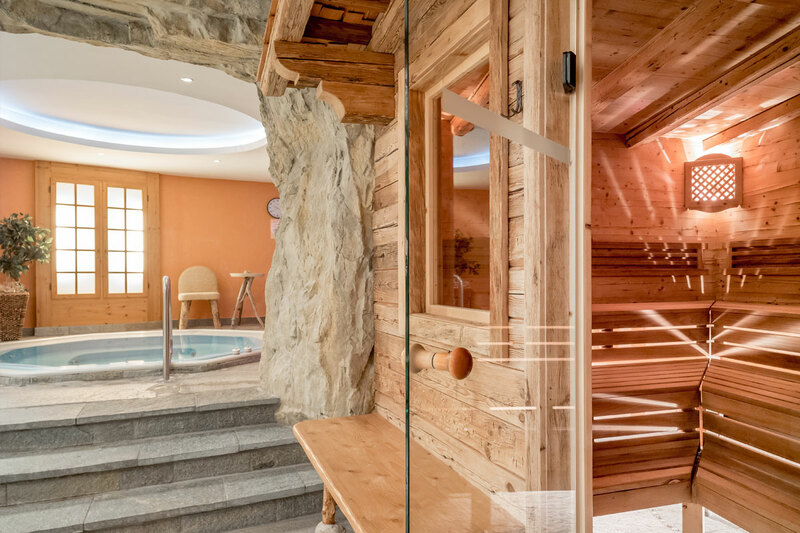 This is the perfect spot: simply do nothing, enjoy peace and be pampered from top to toe. Or get ready for an outing to the nearby mountain world where superb nature exploration and unforgettable panoramas await you. 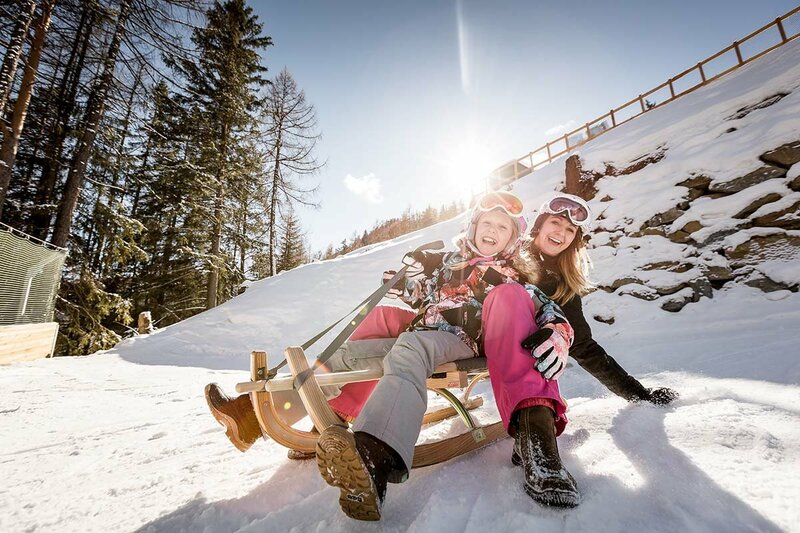 In winter, a free skibus shuttle takes you effortlessly to Sölden's ski area in no time at all - free of charge. 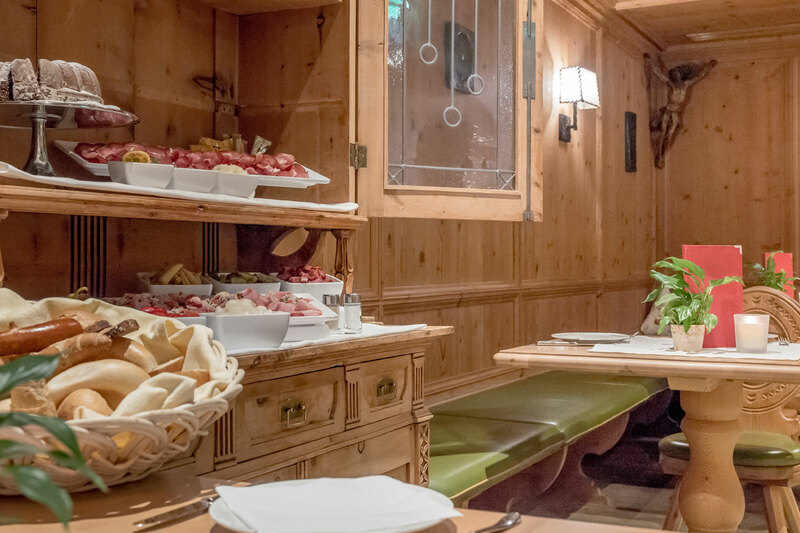 Discover the Tirolean way of life. 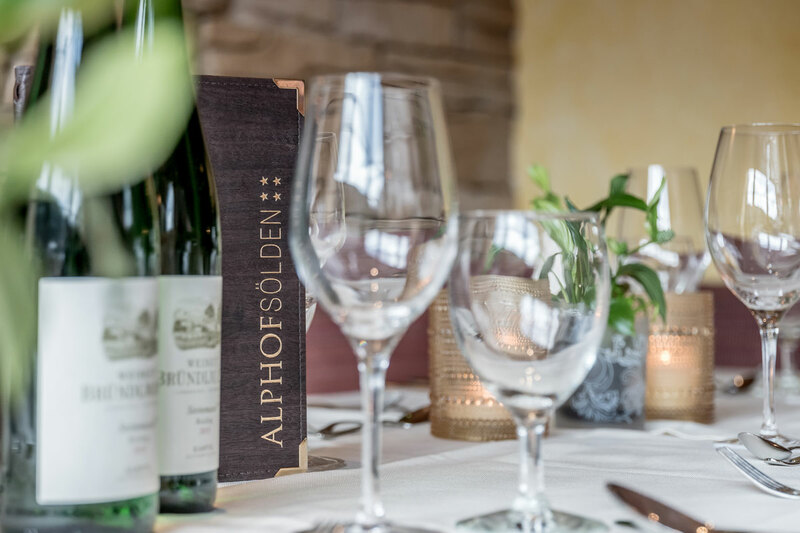 And find the extraordinary during your holiday in Ötztal here at Hotel Alphof in Sölden. THE PULT FAMILY & ALPHOF TEAM. 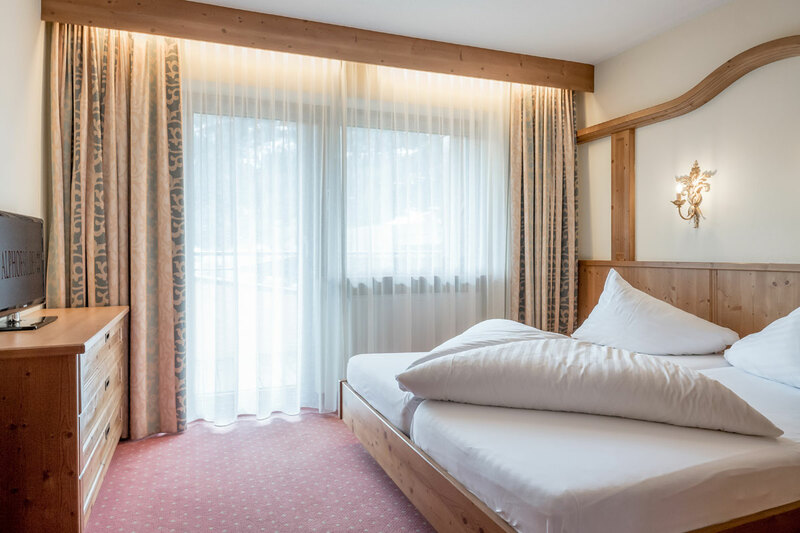 In our rooms and suites there is a certain Tirolean touch in every corner. 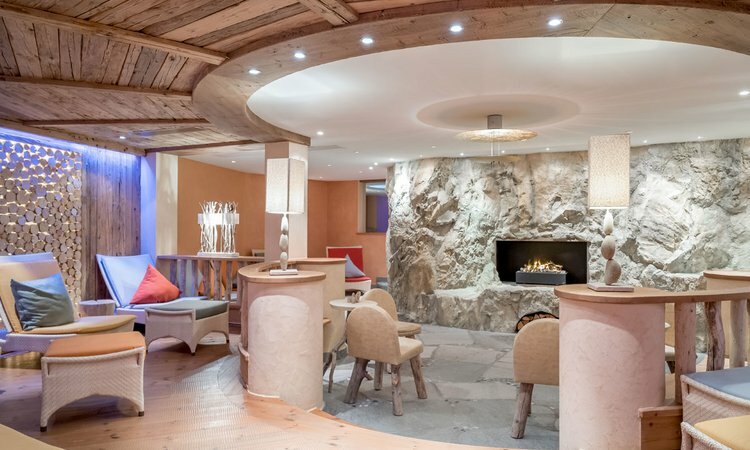 Here you will find coziness, fabulous mountain panoramas and plenty of space for memorable holidays. 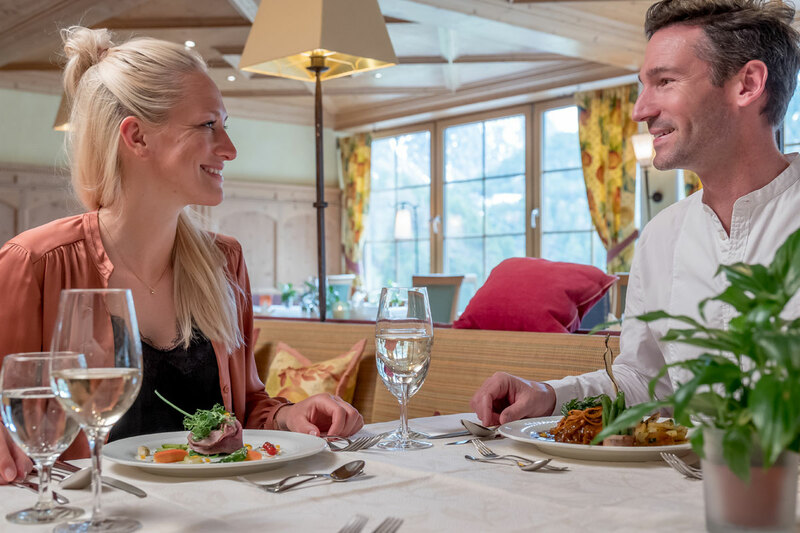 Discover the taste of Ötztal - rounded off by international culinary highlights. 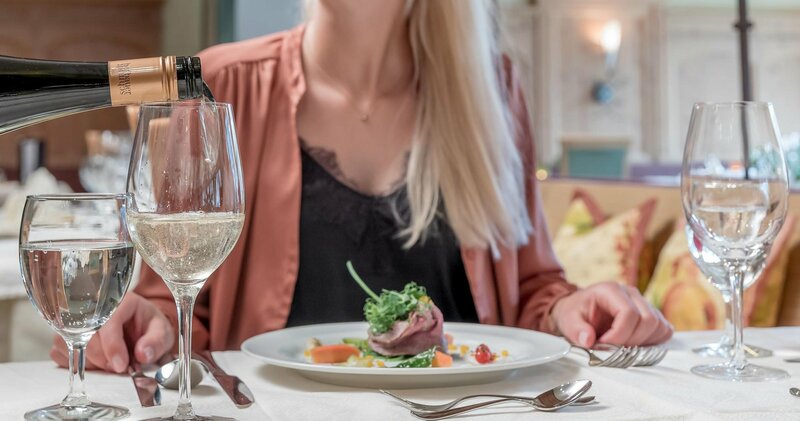 Always freshly prepared with the best local ingredients and served with a smile. Enjoy your meal! 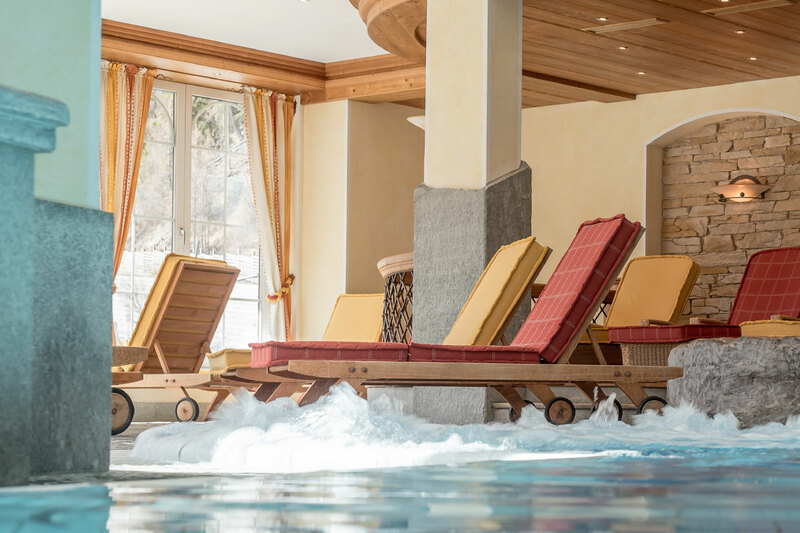 Swim, do the crawl or just get away from it all: our Alpine Panorama Pool at pleasant 29 to 30° Celsius and superb views of the Ötztal mountains is a true inspiration for all senses. 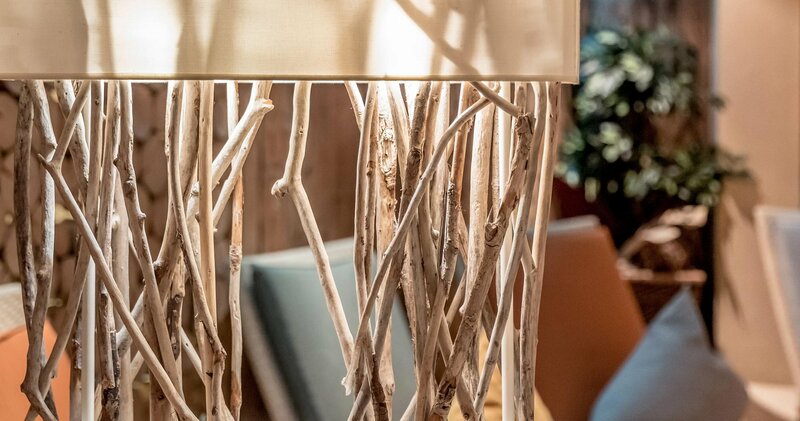 Feel the healing power of warmth throughout the seasons. Our sauna world incl. 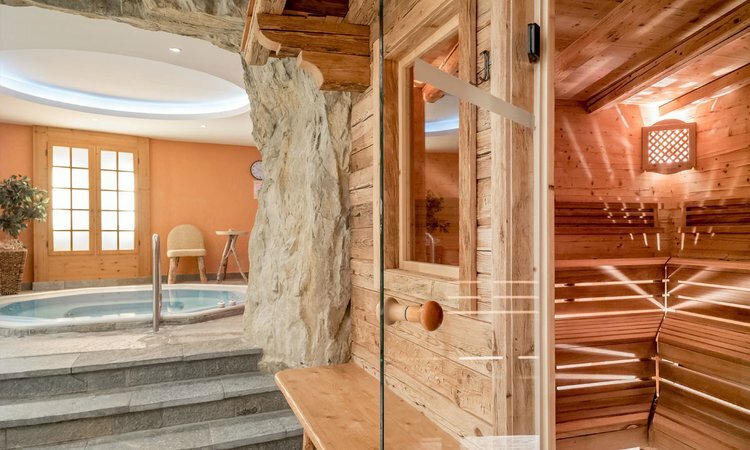 log cabin bio sauna, Alpine hut sauna, steam bath and much more is the perfect wellness heaven for your holiday in Ötztal. Nature makes a paradise for children. And there's plenty of it here at the Alphof. Also indoors incl. 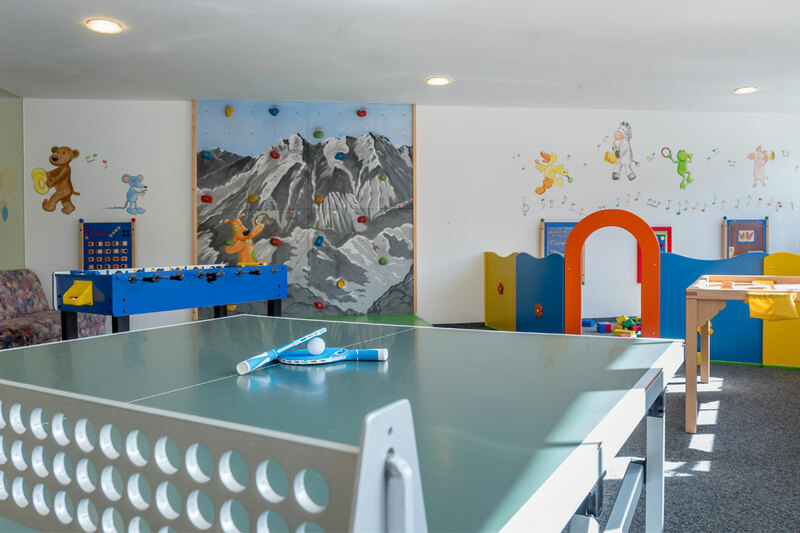 play rooms promising varied activities. 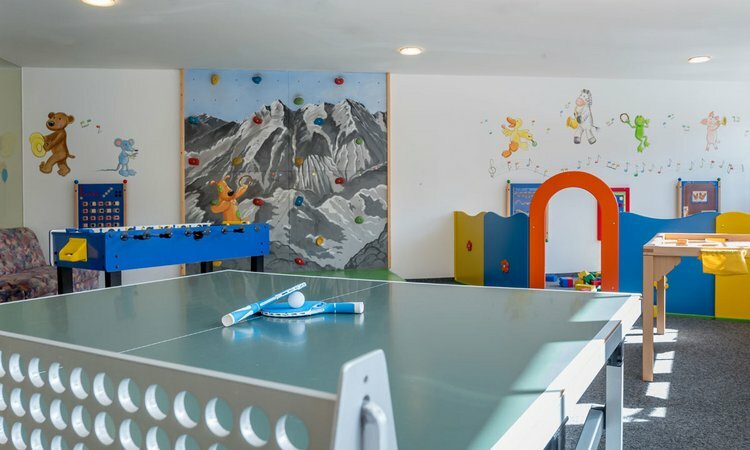 Ideal for family holidays and wonderful moments. Mountain exploration is guaranteed here in summer and winter alike. 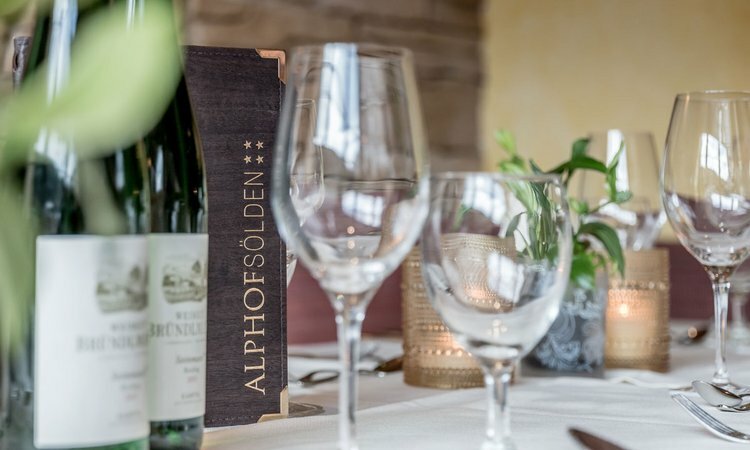 And the Alphof, your hotel in Sölden, makes an ideal starting point! Early booking is worth it! 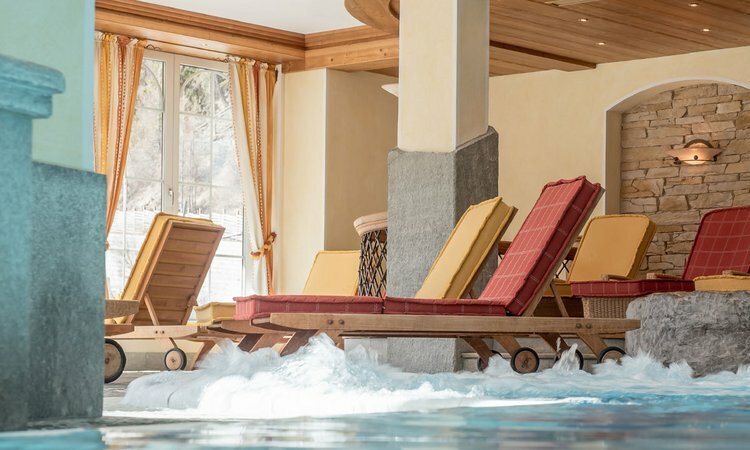 Book your winter holiday at least 120 days in advance and get unlimited holiday enjoyment at a promotional rate including a 5% discount. 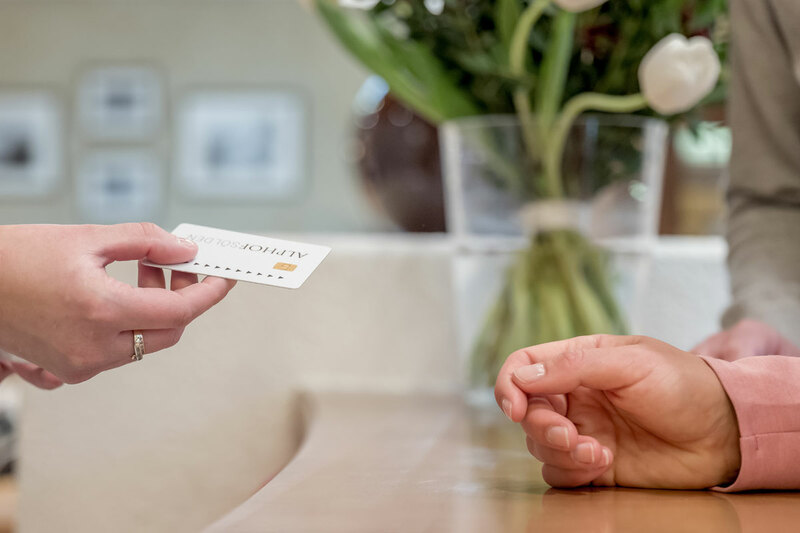 Staying at our hotel in Sölden you receive the exclusive Ötztal Premium Card free of charge for the duration of your summer holiday - comprising countless benefits: free use of mountain lifts and bus lines, free admission to the valley's attractions, etc. The two glacier ski areas of Rettenbach and Tiefenbach glacier open their white gates already in early October and provide for autumnal skiing fun on some 34 slope kilometers while the valley floor still wears its most colorful autumn dress. 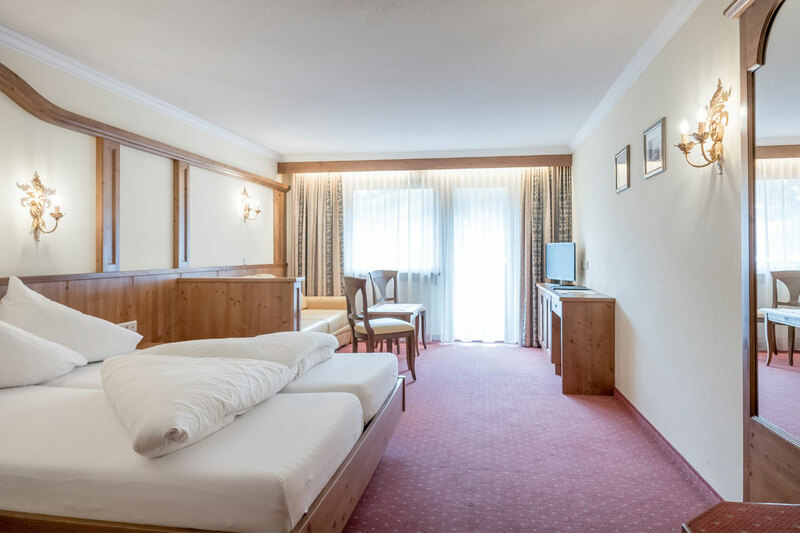 As a bicycle & MTB-friendly hotel we offer many extras for cyclists: lockable bike storage room, repair tools, wash station and of course a lot of know-how: you are planning a bike tour? 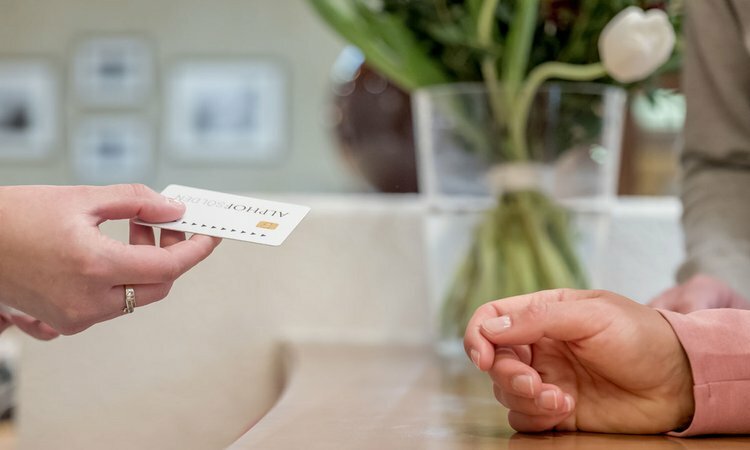 We will be glad to help you! 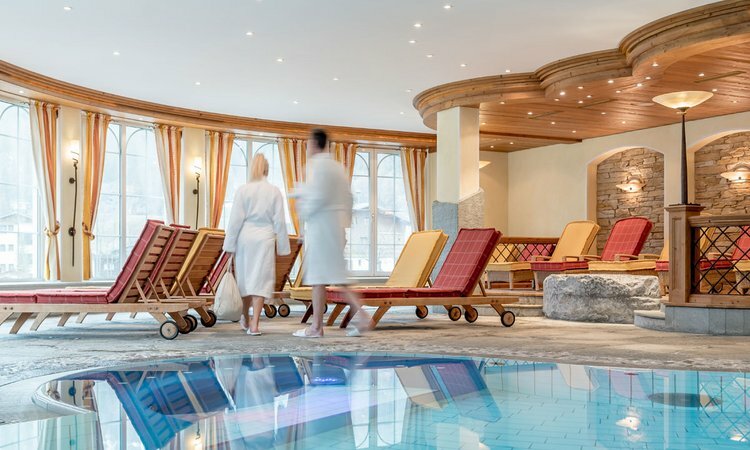 The new Ötztal Super Skipass bundles all six Ötztal ski areas, comprising 256 slope kilometers and 90 state-of-the-art mountain lifts within the valley. 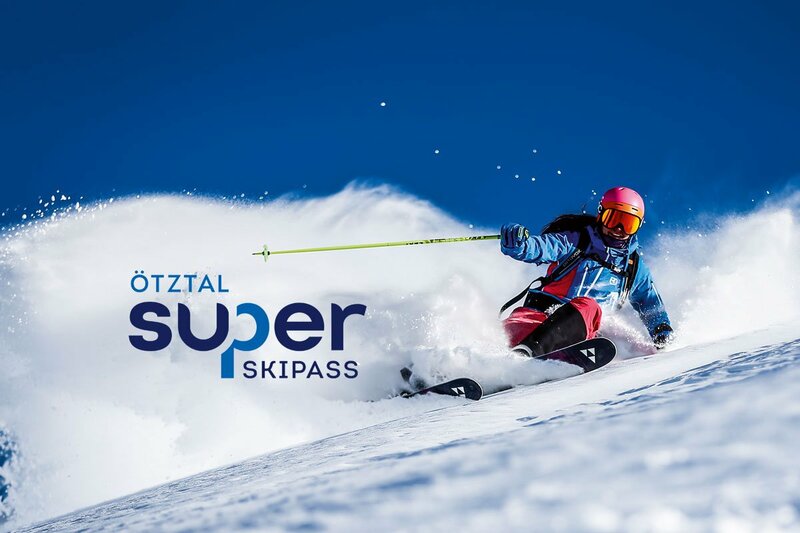 You receive the Ötztal Super Skipass if you purchase a ski ticket for 3 or more days. One thing is for sure! 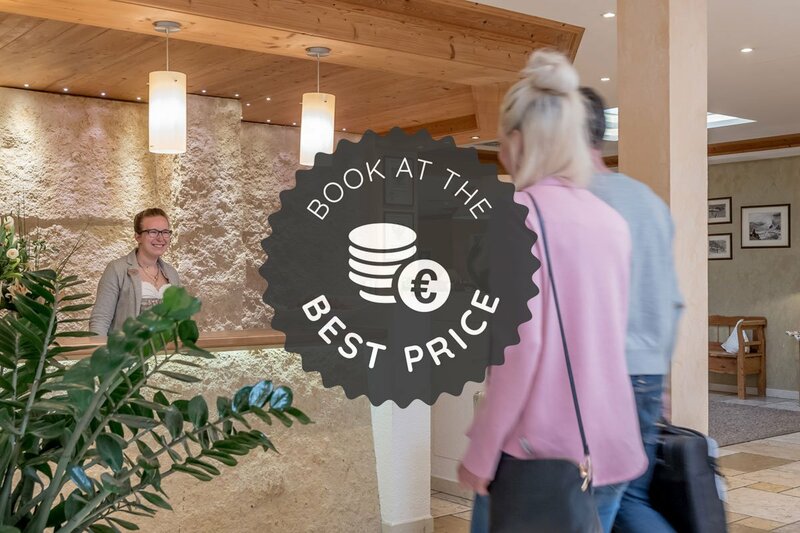 Book your Sölden holiday online here - quickly and easily. 250 peaks higher than 3000 meters seem to touch the sky in Ötztal. You can conquer - or climb - many of them during a vacation in Sölden. 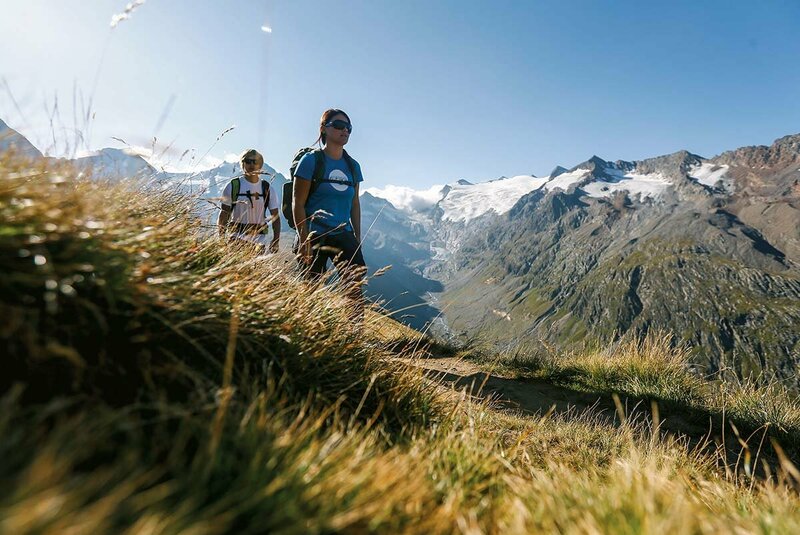 Choose from incredible 1600 km of marked hiking trails made to measure for endless holidays in Ötztal. 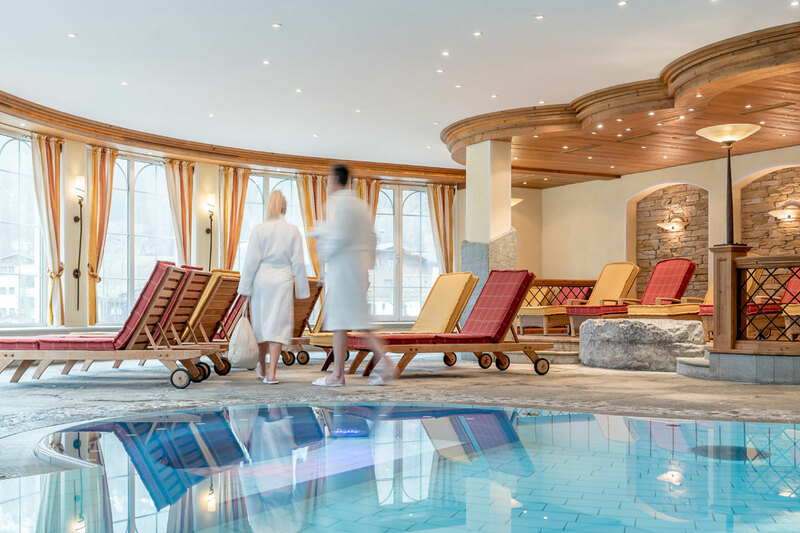 Ötztal boasts 356 slope kilometers and 90 modern mountain lifts - much more than most other Alpine regions. At the highest quality level. 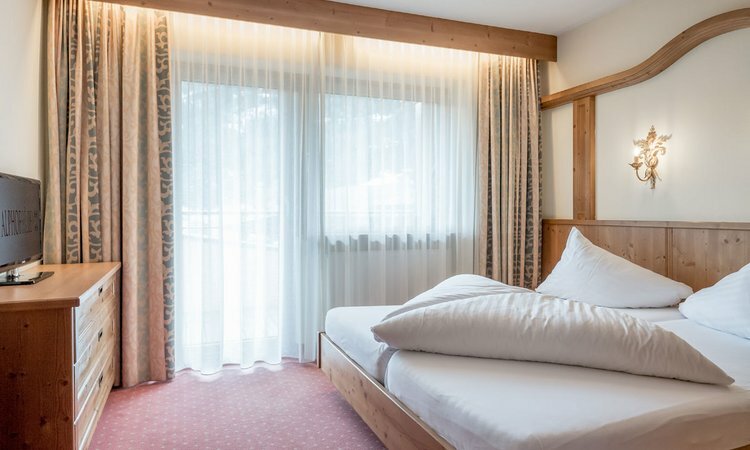 The skibus shuttle stops right in front of our hotel in Sölden, taking you to the ski area in the most comfortable way. 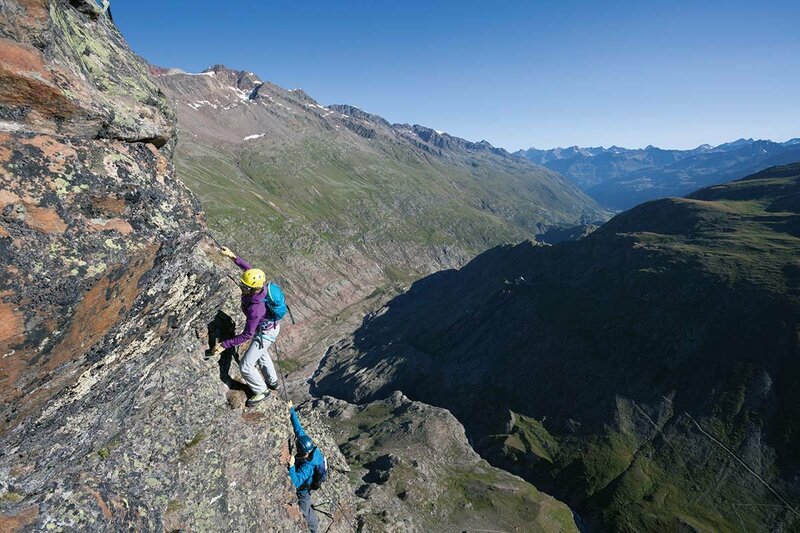 Vertical mountain exploration in Ötztal's first-class granite climbing area: numerous via ferratas and climbing gardens attract climbers of all ability levels - their efforts are rewarded by scenic views of the mountains and valleys. 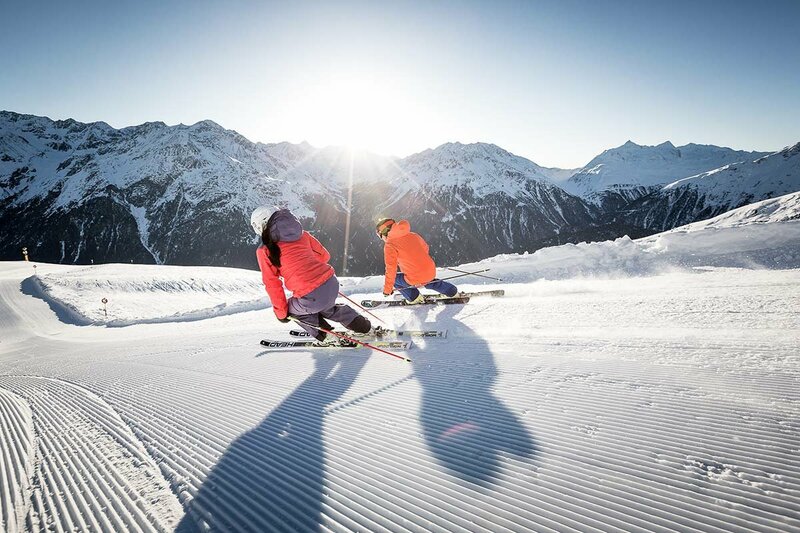 Tobogganing, cross-country skiing, ice skating, ski touring and winter hiking: Sölden is not only a real hot spot for skiing aficionados, it also offers myriad highlights off the beaten ski runs. There is an extensive winter program especially for families and children - but also for passionate nature explorers and active sportspeople.